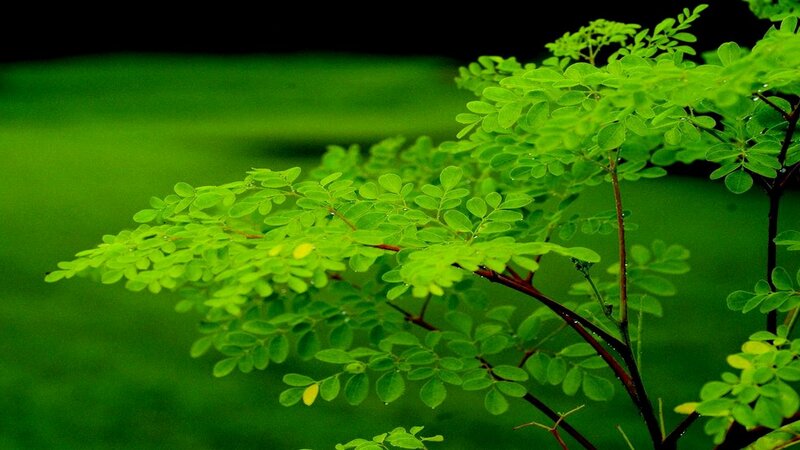 "Moringa recipes growing moringa for the africa child sponsorship programme feeding the African children in DR Congo Uganda Tanzania Malawi Zambia Nigeria"
Add one teaspoon of Moringa leaf powder to 500 mls of water and bring to the boil for a nutritional tea. Add two teaspoon of Moringa leaf powder to rice, soups or stews just before serving. You can stir it in, but DON'T COOK Moringa powder, it diminishes the nutritional value and do not take it on an empty stomach. Add Leaf Powder to your favorite dip or sauce to give it a nutritional boost. Start with half a teaspoon per day for 3 - 5 days preferably with breakfast and ALWAYS with food. After 3-5 days increase your intake. 1 teaspoons per day total is plenty for a healthy person. If you are recovering from illness or you are sick then two teaspoons per day is recommended. Immature young pods can be eaten raw or prepared like green peas or green beans with a delicate flavor like asparagus. They can be used from the time they emerge from the flower cluster until they become too woody to snap easily around 12 to 15 inches long and 1/4 inch in diameter. At this stage of growth they can be prepared in many ways. 1. Cut the pods into one-inch lengths. Add onion, butter and salt. Boil for ten minutes or until tender. 3. Boil the cut pods until tender, seasoned with onion. Add milk (soy, rice, almond milk), thicken and season to taste. Even if the pods pass the stage where they snap easily they can still be used. You can cut them into three-inch lengths, boil until tender (about 15 minutes), and eat as you would artichokes. Or you can scrape the pods to remove the woody outer fibers before cooking. The Moringa leaves can be eaten as greens, in salads, added to the rice just before it is served, in vegetable curries, as pickles and for seasoning. The leaves can be cooked any way you would prepare spinach or any other green such as kale. The healthies way to cook them is to steam 2 cups freshly picked leaves for just a few minutes in one cup water, seasoned with onion, and sea salt. Vary or add other seasons according to your taste. How much Moringa leaves should you eat? One half cup cooked leaves will meet your day's need for Vitamins A and C.
One half cup pods, raw, will supply your Vitamin C need for the day. 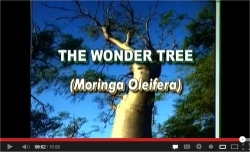 Slowly introduce Moringa to the diet to get the child accustomed to the product. Seeds, or "peas," can be used from the time they begin to form until they begin to turn yellow and their shells begin to harden. Remove the peas with their soft winged shells intact and as much soft white flesh as you can by scraping the inside of the pod with the side of a spoon. Place the peas and flesh in boiling water and blanch them for a few minutes, then pour off the water before boiling again in fresh water to remove the bitter part. Now they are ready to use in any recipe you would use for green peas. They can be boiled as they are, seasoned with onion, butter and salt, much the same as the leaves and young pods. They can be cooked with rice as you would any bean. Four cups of fresh Moringa(or more or less according to taste and availability). 1 medium sized chicken, cut in convenient sizes. Heat cooking oil in saucepan and saute' garlic, onion, corn and the chicken. Add soy sauce. Cover and simmer over medium heat. Add water and cook until chicken is tender. Add Moringa leaves, cover and cooked for 2 minutes longer. Saute garlic, onion, and tomatoes in large fry pan. Add ground beef. Cover and simmer 5 minutes over low heat. Add water and bring to a boil. Season with salt and pepper. Cook 5 minutes longer. Add moringa leaves just before serving. Serves 6.